Willow Bay is a 174-acre property in Adams County, Colorado, defined by a picturesque 110-acre lake at the northern terminus of the South Platte River Trail. For more than 30 years, The Trust for Public Land has worked to preserve land along the South Platte River. Now, after a public planning process, that open space will include access to fishing, swimming, and non-motorized boating, further connecting urban residents to the nearby natural world. 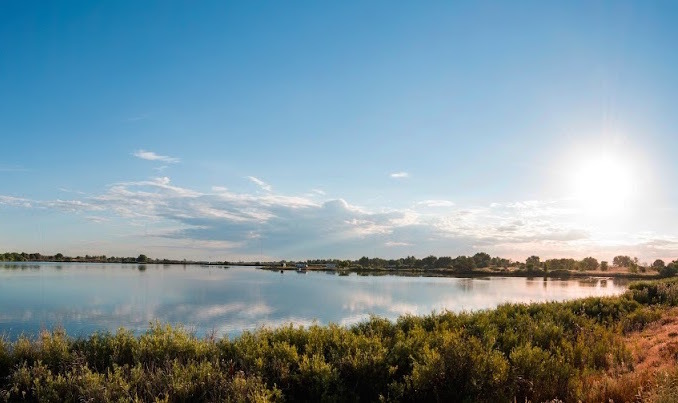 With rapid population growth in the Denver metro area, the protection of Willow Bay has long been a priority for local and state agencies. The Trust for Public Land partnered with Adams County, Great Outdoors Colorado, and the State of Colorado’s Natural Resource Damage Assessment and Restoration Trustees to complete this transaction, ensuring that the public will enjoy this open space for years to come.